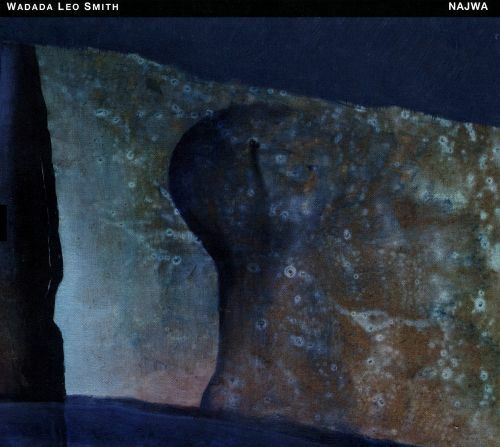 Wadada Leo Smith CDs have arrived thick and fast in recent years, diverse in nature and often remarkably good. These two are no exception. Anyone who has heard his solo CDs, the best known of which is probably Kulture Jazz (ECM, 1993), will be aware of how carefully he places notes, how subtly he implies rhythm even when the music is at its most untethered, and how affectingly expressive his tone and phrasing can be. Admittedly, variety is easier to achieve when, as on Kulture Jazz, the instrumentation includes bamboo notch flute, mbira, koto, flugelhorn, vocals, percussion and harmonica, in addition to his principal horn, trumpet. But, as shown on Solo: Reflections and Meditations on Monk, trumpet alone can provide variety in spades. Smith’s interest in Thelonious Monk’s music began when he was in his teens, during woodshedding days (the first recording under his own name was Creative Music – 1, Kabell, 1972, issued in his thirty-second year); and the true essence of Monk was to be found, he realised, when Monk played solo. One could argue that the finest interpreters of Monk’s music also get the most out of it when playing solo. That’s certainly as true of Steve Lacy as it is of Smith, though of the two Smith has the warmer, more engaging tone. He somehow also gets beyond the notes, to show how nakedly breath becomes sound. Of the eight tracks on the CD, four are among Monk’s most well-known compositions, including Reflections and ’Round Midnight. Smith’s four are much freer and more open-ended. They may be ad hoc rather than predetermined, but they demonstrate a control of sound on his instrument that’s nonpareil, and, moreover, an enduring love of melody. 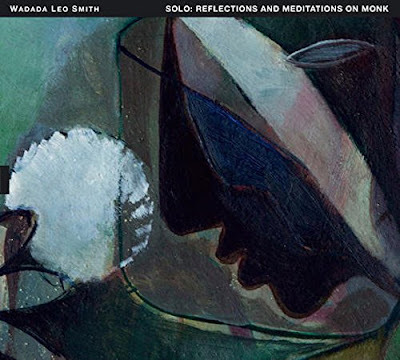 Solo albums on non-chordal instruments can seem rarified and austere – Solo: Reflections and Meditations on Monk is neither. By way of contrast, Najwa adds four guitars, electric bass, drums and percussion to Smith’s trumpet excursions. He’s been here before: the second disc of Spiritual Dimensions (Cuneiform, 2009) had a four guitar line-up, three of whom – Michael Gregory Jackson, Brandon Ross and Lamar Smith – are on Najwa, joined by Henry Kaiser. Smith and Kaiser also played together in the Yo, Miles! electric band around the turn of the century. The other transplant from Spiritual Dimensions is drummer Pheeroan akLaff, partnered here by percussionist Adam Rudolph. The wild card is the electric bass player and producer of the session, Bill Laswell. Laswell provides not just a deliciously fat bass sound, he simultaneously marauds through the music and corrals it, providing structural underpinnings while guitars squall and drums and percussion patter and thunder. Something similar to what Teo Macero did in post-production with Miles Davis recordings such as In a Silent Way, Laswell does here, cutting and pasting, adding overdubs and reshaping the sound. It’s an episodic music, funky on occasion, dense but not opaque. Not everyone plays at once, and when the music thins out it can be surprisingly soft and delicate. The brief title track is all atmosphere and drift, really quite lovely; as is the closer, a tribute to Billie Holiday. The three remaining tracks are dedicated to John Coltrane, Ornette Coleman and Ronald Shannon Jackson, and they’re evocative of Jackson’s Decoding Society circa 1983 and Coleman’s Dancing in Your Head without being derivative. Najwaand Solo: Reflections and Meditations on Monk are the work of a musician pushing at boundaries, always finding new things to say and new ways of saying them.